The safety of our trekkers, trek leaders and trekking crew is paramount to Back Track Adventures. From the moment you arrive at the International Terminal at Port Moresby to departing, your personal safety is our concern. Q: Are you safe walking the Kokoda Track ? Over 20,000 everyday Australians have completed the Kokoda Track since 2002 without threat or criminal incident.  There is absolutely no reason to believe, or evidence to support , any notion that if an Australian male or female trekker was to participate in a fully organised group trek with Back Track Adventures over the Kokoda Track they would be exposed to any more risk or personal danger then if they were to travel and trek to just about any popular trekking destination anywhere in the world including Australia. 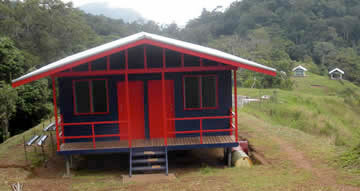 The Kokoda Track is a professionally administered and supervised international tourist destination. All trekking and Tourism activities along the Kokoda Track are supervised by The Kokoda Track Management Authority (KTA). The KTA is supported by the Australian Government via The Kokoda Initiative administered by the Australian Government Department of Environment. The KTA is a PNG Government Special Purpose Authority, commissioned to solely promote and manage the Kokoda Track for tourists, while improving the way of life of communities living along the Track through funding and development programs. 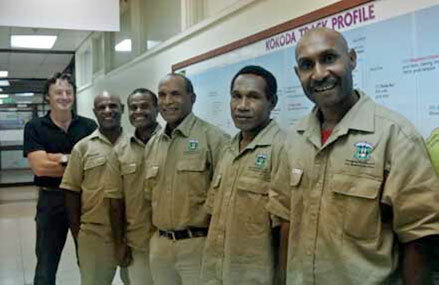 The Kokoda Initiative is a joint PNG / Australian Government program. In April 2008, the two countries signed a joint understanding to work together to protect the Owen Stanley Ranges, including the area designated as the Kokoda Track and to improve the lives of the communities along the Track. The Kokoda Track is NOT located in a remote highland area, devoid of law and supervision. Many Australians believe that the Kokoda Track is a seldom used , overgrown trail located in a remote corner of far distant PNG. There are probably 1000’s of trails in PNG that would possibly meet that description very accurately. The Kokoda Track is not one of them. The Kokoda Track is a 96-kilometre, well mapped, documented and supervised line of communication that is a major commercial and social access route for 1000s of PNG citizens who live in small and large village communities on and adjacent to the entire length of this Track. It officially starts at Kokoda Village on the northern side of the Owen Stanley Ranges and finishes at Owers Corner on the southern side of the Ranges, approximately 60-kilometres drive from Port Moresby. The majority of people along the Track are Seventh Day Adventists, and their religion and faith is an important part of their daily lives and culture. In late November 2014, 3000 people travelled from every corner of the Track and gathered in the Kokoda Track village of Efogi for a festival marking 100 years since they first embraced the faith. A tragic incident, involving Australian and New Zealand trekkers reported by some Australian media sources in 2013 was mistakenly linked to the Kokoda Track. The reported incident occurred on a remote, seldom used trail in another province of PNG. Back Track does not conduct trekking activities in that province. There has been a resurgence in interest in the Kokoda Track, mainly due to an awakening and understanding of the significance to all Australians of the Kokoda Campaign fought along this jungle path in World War 2. Kokoda Rangers. Left to right: (advisor) Ranger Landy Noel, Ranger Elijah Peter, Ranger Ivan Nitua, Ranger Donald Siga, Ranger Scotty Gadova. The Kokoda Track Authority has in place a number of fulltime Track Rangers based in three Ranger posts. The Kokoda Track Management Authority has in place a number of fulltime Track Rangers based in three Ranger posts. Posts are located at Kokoda Village – the northern and starting point of the Kokoda Track; Efogi Village which is located halfway along the Track; and, at Owers Corner which is the finish point where the famous finish point arches are located at the southern end of the Track, 60-kilometres from Port Moresby, the nation’s capital. The role of the Rangers is in one way, similar to the role of Rangers in any National Park worldwide. They supervise ongoing Track safety and maintenance programs. They also supervise the welfare of trekkers, tourists and trek crews working along the Track. Very importantly, as there are many communities living the entire length of the Track, the Rangers administer the partial implementation of the aid projects generated by the Kokoda Initiative program.